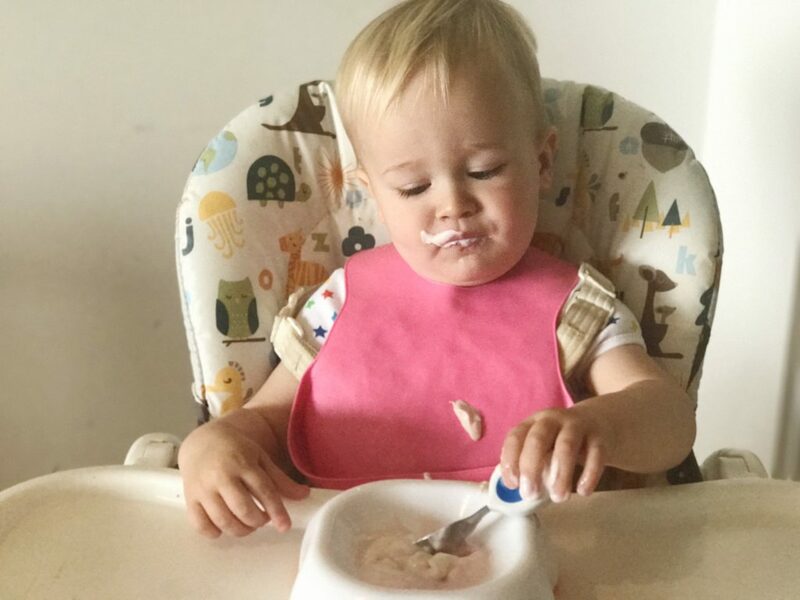 As huge advocates of baby led weaning, it was important to us that we let Dexter start feeding himself using cutlery in his own time. I waited until he was around 10 months before I started introducing spoons and forks alongside his meals but he was hardly interested and would invariably end up throwing them on the floor. 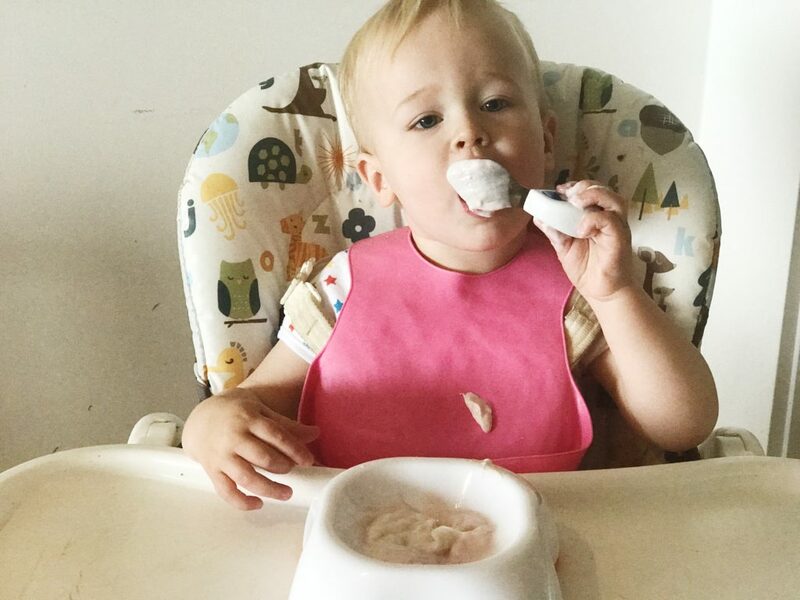 In the last couple of months as he has come into toddlerhood, we have found him more receptive to cutlery and Doddl kindly sent us their ergonomic cutlery for Dex to try. Doddl was founded by three mums who could see their children struggling to feed themselves with long handled cutlery. After 40 prototypes and 18 months of research and testing, Doddl is now a market leader in educational cutlery for children. How does the cutlery work? Doddl cutlery promises to build fine motor skills and develop strength and coordination. The handles of the cutlery sit within the child’s hand with the main body nestling comfortably in their palm. 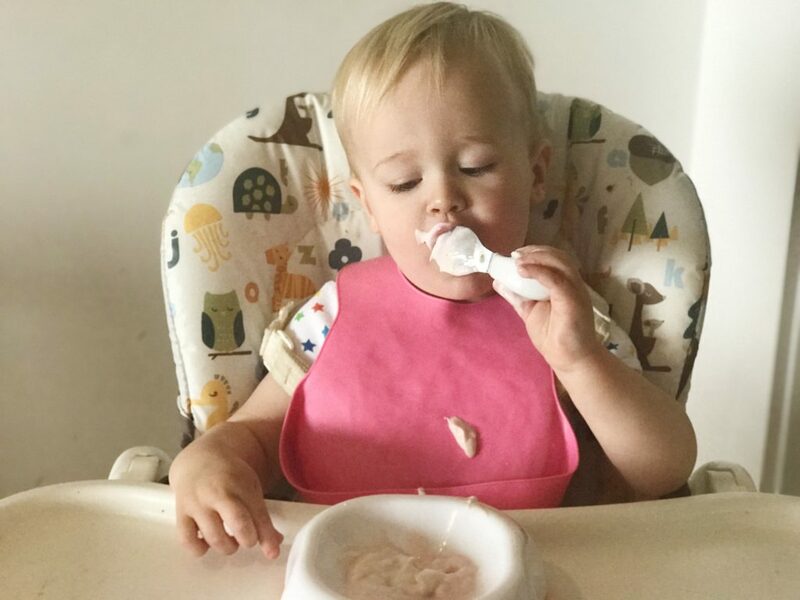 The colourful soft touch areas on the cutlery encourage the child to open to their fingers and ‘pinch’ the cutlery helping them develop a pincer grip, a core motor skill needed to hold a pencil, use scissors and use adult cutlery. Added to this, the cutlery is dishwasher safe, contains BPA free materials and are functionally sharp and certified safe. We are very used to using long spoons and traditional looking shortened forks, so this cutlery set was a completely different ball game for Dex, however he seemed to take to it straight away. He was happiest scooping up pasta with his fork and stabbing at the meat. He wasn’t entirely sure how to use the knife despite me showing him several times, however I know that this will come in time and due to the cutlery being so long lasting, he’s got months and months left to practise. I love the idea of this chunky ergonomic cutlery and it’s definitely a set I’ll be offering on a daily basis for Dex to continue using. Hopefully over the coming months he will get more used to it and will become a dab hand at cutting as well as scooping and stabbing! It looks so well designed for them, especially the little knife. I can’t wait to hear how he takes to it, I feel like we’re getting there with a fork and spoon (messily but there’s progress) but have NO idea how to bring a knife into things!